There’s no lack of debate about whether or not USB cables can make an audible difference and also no shortage of “proof” offered as to whether they cannot. I’ve added my point of view on this matter in various places on this site and hope I’ll be excused for not repeating myself here. Let me cut to the chase: Yes, for whatever reason, USB cables matter. What’s more: they can have considerably more impact than one might assume. 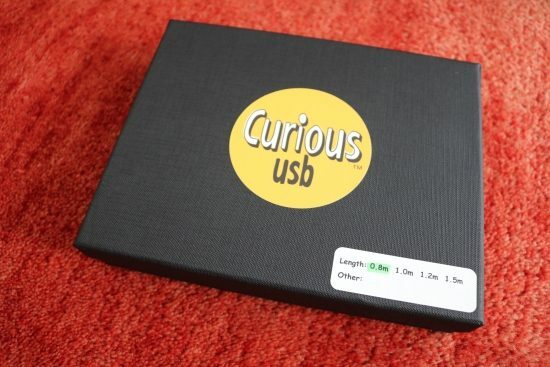 Here’s a brand that I had not heard of until a reader asked me about it in the comments: the Curious USB by Curious Cables. I’m glad they asked! 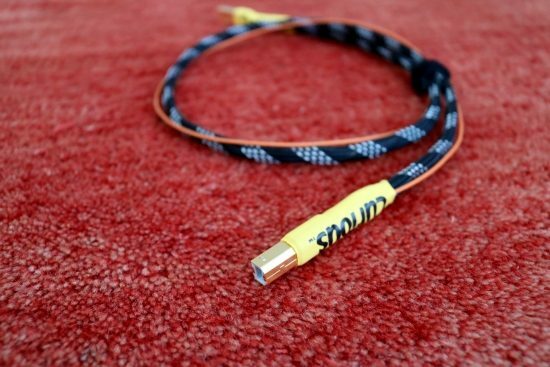 The cables are manufactured under license by Mike Lenehan from Lenehan Audio – Queensland, Australia. Curious Cables’ Australian owner and designer Rob Woodland spent 12 months examining every aspect of USB cable design and offers the following explanation for why his USB cable performs the way that it does. Why does the humble USB cable make such a difference to sound quality in a computer-based Hi-Fi system? When I started using a computer server, people said “You won’t have to sweat over USB cables – they don’t make a difference! It’s packets of data – it’s not analog.” Nevertheless, I continued to question why I was getting a flat, lifeless, edgy and uninvolving sound from my system – despite using the best processor, USB card, power supply and so on. And yes, I did try a number of high-end, highly regarded USB cables – with similar disappointing results. This required investigation. From a previous career as an audiophile cable and connector manufacturer, I had plenty of wire on hand to start the experimental process. And what do you know? Just about every wire combination I tested had an immediate, yet varied impact on sound quality. So began a 12-month quest to discover a USB cable design that would deliver a truly three dimensional, musical sound – like the real thing. I left no stone unturned. I tested different diameters of wire, different metallurgy, shielding, dielectrics, ground techniques, how to deal with the 5V power leg and so on. All the time listening. And after a while, I built up a set of parameters for a USB cable that worked for the delivery of music, rather than just the delivery of data. The result? Music from my computer-based audio system sounded significantly better – in every way! Much cleaner than before, more open and spacious, more detailed, smoother, more dynamic – and more involving. Some may even use the word “musical”! But hang on – USB cables aren’t supposed to make a difference? All I can say is this. To my ears and those of experienced audiophiles – the new “Curious” USB cable offers a superior listening experience to many other USB cables. So far, the USB cables that have impressed me most are the AudioQuest Diamond USB, the Mad Scientist Heretical USB and more recently the MadScientist Black Magic USB. The AudioQuest has been my reference for a long time when I still used the AudioAanZee Reference Flow music server with Jeff Rowland amplification and Apogee Diva speakers. With this system, the cable’s neutrality and impressively articulate sound were precisely what was needed to obtain the right balacne. The Mad Scientist Heretical USB was a revelation in terms of smoothness and liquidity and it produced an immediately likable sound that was never aggressive, but it arguably also compromised transparency, impact, and pacing. While I was fond of this cable, it was not the ideal match in the aforementioned system. Somewhere in between, I changed the setup and its position in the room entirely and added room treatment. The new CH Precision and Wilson Watt/Puppy 8 set up is much more dynamic and also more articulate and precise. In this system, I could still hear that the Mad Scientist Heretical USB cable rounded off the sound a bit but it actually worked quite synergetically. The Black Magic USB finally, which is the Mad Scientist’s current USB cable, improved on their former model by sounding more confident and upbeat, more transparent and more lively, while retaining the richly colorful, fluid and relaxed sound that made its predecessor so pleasing. It will come as no surprise that this cable worked like a charm in the new setup. It provided all the transparency and neutrality that I needed while still enhancing the sound with a pleasing smooth liquidity. Or is it not relative at all? Now, of course, one can ask the question: Was the aforementioned smoothness a lack of glare or a degradation of the digital signal? And another question might be: Should cables be used as tweaks or should one strive for technical perfection, regardless of the results are pleasing or not? Naturally, I have my own ideas about this and must admit having changed my views a bit from what they used to be. 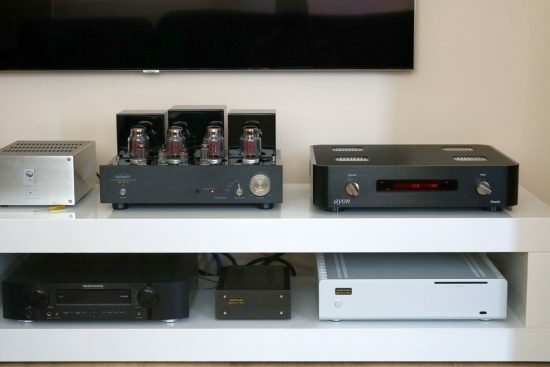 Currently, I believe that finding the best combinations of cables and components in a given room for a given taste is still important but it is of equal importance to use cables that do not subtract too much from the signal. When I was younger I cared more about refinement and fluidity than anything but these days I care most about dynamics and timbre. This is why I now prefer cables to ideally transfer all the energy in unaltered form and not being used as equalizers because whenever a cable is used as a filter, you lose some presence in the sound. However, it is a delicate balance. One can also go too far and the sound can become overly controlled and then you can lose the natural flow and as a result have less of an emotional connection with the music. 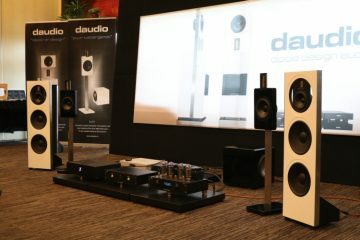 When Garmt of AudioIngang brought the CH Precision equipment for review, he also brought along a Melco music server. 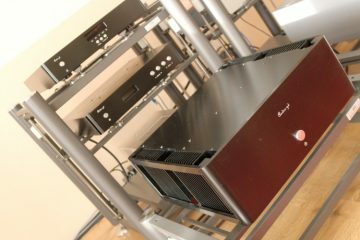 The Melco is, in essence, a high-specced NAS with two network environments: the input (dirty) and the dedicated player output (clean). As it turned out, the direct Ethernet connection to the CH Precision C1 Renderer/DAC made for a leap in sound. 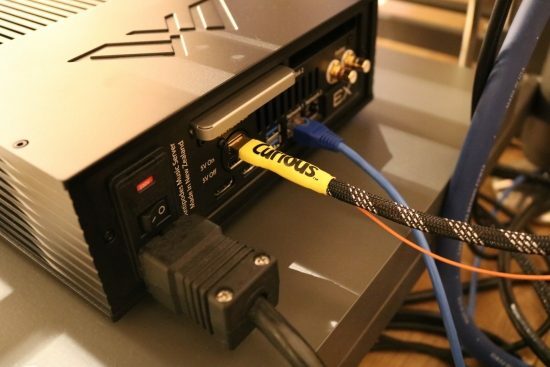 The Melco can also be connected using USB but sounds best using Ethernet. In this combination, it sounds rhythmic, fast, nimble and dynamic yet also fluid and free-flowing. The Melco via USB, by comparison, sounded more strident and less involving, no matter which USB cable I used. To cut a long story short, I was so impressed with it all that I decided to take the leap and switch systems altogether. 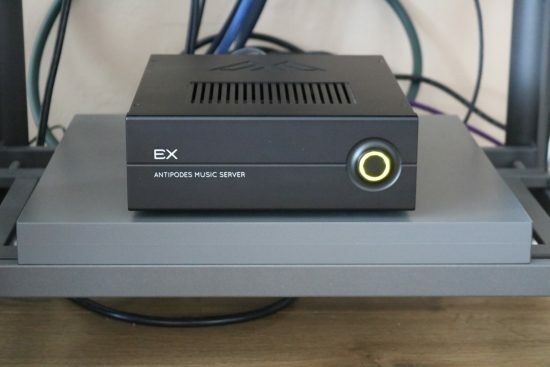 The Melco N1ZH is a low-power UPnP-only server that cannot run Roon, but the Antipodes EX does. The EX is a pretty special server, too, and its USB output really is the best I’ve heard so far. And because I prefer to use Roon for my day-to-day music listening, the matter of USB cables is still of great importance! When connected with the AudioQuest Diamond USB it has a very detailed sound but the stage is constrained to the speakers and the whole sound is not as engaging as it is with the Ethernet-connected Melco, which at this stage is my point of reference. The EX actually comes much closer to the Melco’s presentation when connected using the Mad Scientist Black Magic USB cable rather than the AudioQuest Diamond USB. And this brings us full circle, back to the initial question: should cables be used as tweaks? Using the Antipodes EX and CH Precision C1, changing the Mad Scientist Black Magic USB for the Curious USB, made for a startling difference. To be honest, I kind of expected this cable to sound very tight and precise and potentially relatively technical, but I was proven wrong on all accounts! Yes, it was technically better: more articulate, tighter, faster, nimbler and more open and more dynamic but it was also airier and had a more freely flowing soundstage with more clearly defined focus and layering. How about that? 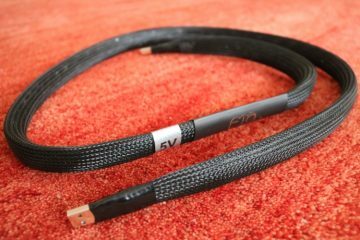 This cable clearly did not act as an EQ or filter and it sounded even more upbeat and precise than the AudioQuest, yet it did not sound overly controlled at all. In fact, with the Curious USB cable, the EX now sounded closer to the Melco in presentation than with any USB cable that preceded it. There you have it: the Curious USB cable was indeed technically better, but also musically more realistic and involving. I definitely did not see that coming. In order to lessen the influence of system dependency, I also repeated the test using my second system in the other room. 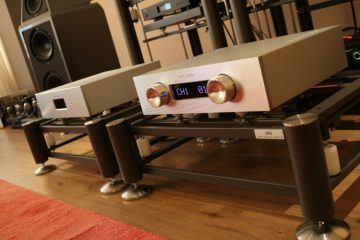 This system is subject to constant change but currently consists of an AudioAanZee Reference Flow music server with Euphony Drive as the basis with two DACs to choose from. 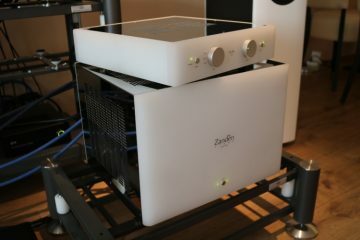 The Ayon Stealth DAC/Preamp and the Aqua Formula xHD DAC. 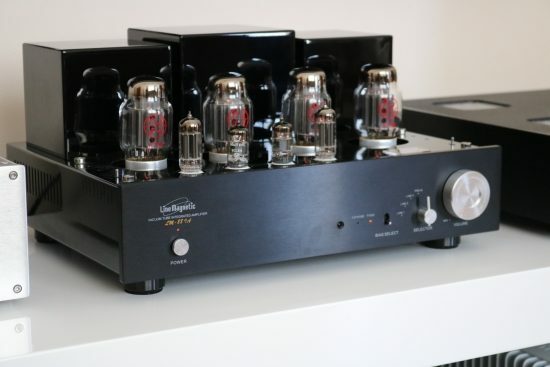 The Stealth is used with its own tube preamp section in combination with the NuPrime ST-10 power amp and the Formula xHD is used with the Line Magnetic LM-88IA integrated amp which is on visit as part of another review. The speakers, in this case, are the Gustavson LS-Ones. 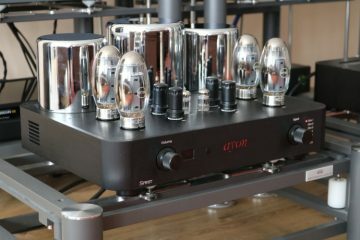 Above left: Line Magnetic LM-88IA Integrated Amplifier, right: Ayon Stealth Preamp/DAC. At the bottom is the AudioAanZee Reference Flow music server. 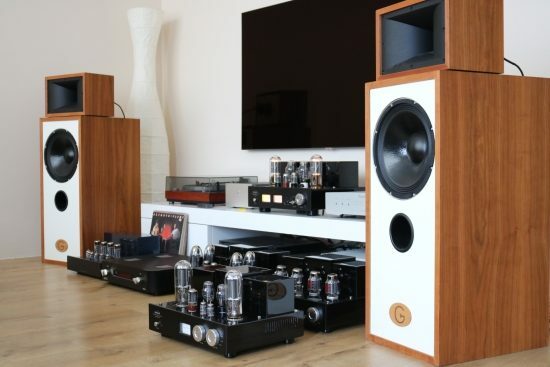 Above: the Gustavson LS-One speakers with a range of Line Magnetic amplifiers that were on visit for another review. Using the Ayon Stealth DAC/preamp and NuPrime power amp, the Curious USB cable again was like a breath of fresh air and it sounded so convincing that I did not want to remove it anymore. However, when I tried it anyway, in this system, the Mad Scientist also worked beautifully. Sure, the upbeat foot-tapping quality was diminished and the whole delivery was more rounded and definitely less precise but nevertheless still very pleasant. This is probably a good example of system synergy: the Gustavsons are highly communicative and the NuPrime’s energetic character also injected so much energy into the system that the smoother USB cable still provided a well-balanced, musically highly engaging sound. While I still preferred the Curious USB because of its more lively delivery I can also imagine people choosing the smoother balance in this setup. In this case, it is a matter of perspective. 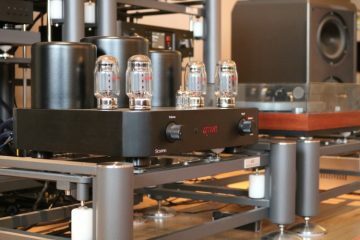 Changing from the Ayon/NuPrime combo to the Aqua Formula xHD DAC with the Line Magnetic LM-88IA integrated amp, the situation would turn out to be more clearly decided. With the Mad Scientist Black Magic USB cable the sound was again very pleasant but also remarkably refined and highly resolving. If I did not have the other cable at hand I would probably not even have any desire for further experiments. Swapping for the Curious USB cable, however, improved the sound on all levels: a fuller tonality, more convincing timbre, more dynamics, bass with more bite and body and all while retaining the overall refinement and airiness in the treble as well as the musical flow. Going back again just to make sure, the Mad Scientist cable was certainly still pleasing with its seductively warm and smooth sound but now I found it also to be less realistic and exciting than the Curious USB. This cable is quite the stunner! As a final test, I brought the Curious USB cable with me when visiting audio buddy Niels. 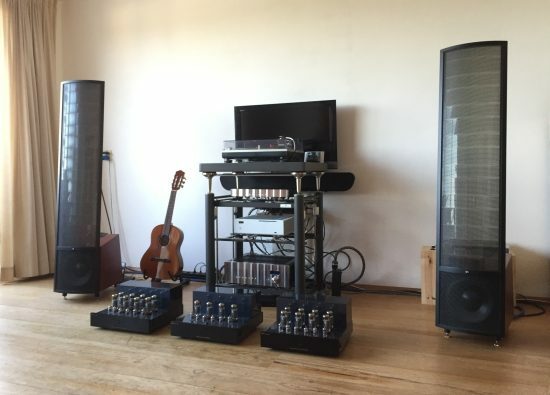 His system consists of an AudioAanZee ReferenceFlow music server, Jeff Rowland Aeris DAC, Jeff Rowland Concentra II integrated amp and Martin Logan Spire electrostatic speakers. Don’t mind the PrimaLuna amps, these were part of another review. Niels’ long-standing favorite USB cable is the KingRex uART which was an early favorite of mine too. 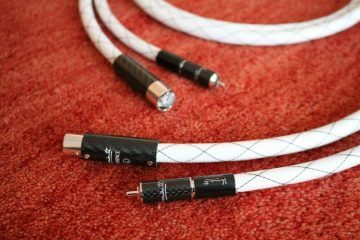 The KingRex is based on OEM cable provided by WireWorld and the cable did indeed have a similar character to the WireWorld Starlight 7. To allow for a blind test of sorts, I did not inform Niels about what to expect and we first listened to a few tracks with his usual setup. When swapping the KingRex for the Curious USB cable, the first thing that stood out was that there was now a better flow, in terms of rhythm and pacing as well as in terms of soundstaging. Images leaped out and forward more than they did with the KingRex cable. Along with this came the aforementioned perks of better resolution, more airy treble and an overall more realistic and lifelike sound. Meanwhile, the typical (classic-) Jeff Rowland smoothness and liquidity were not diminished in the least. The Curious USB cable made such a good impression that Niels is going to order one. And me? I’m absolutely not sending mine back! That USB Cables can change the sound of a system is still a controversial concept in some circles but really it should not be. For me, it is clear that they do and the tests done as part of this review certainly further solidify my convictions. A given music server with a standard USB cable can certainly sound pretty good. It’s not that a cheap USB cable will sound crap. But you might be surprised how much there is to gain. After using the Curious USB cable, you won’t ever want to go back to that flat and uninspiring sounding regular cable. As my experiments showed, system-dependency something to take into consideration when selecting (USB) cables. But who would have thought it possible to improve the performance in audiophile parameters such as dynamics, tightness, focus, and articulation (to name just a few) while retaining all the fluidity, flow, and musical engagement by using a different USB cable? I certainly did not. But there you go. Here is a USB cable that works wonders in three very different systems. Well done Curious Cables! Wow, very detailed and very diverse test! I don’t know what is the secret about Curious, but it seems that it just works! Did you need some burning-in time and did you notice any differences eventually? Hi Marek, I’d say that there’s no real big secret (unless I missed it:-) – they’re actually being quite forthright with the information. It’s a matter of using the materials that sounded best in their tests and to pick the right ones for each of the format’s 4 conductors. In general, I find that digital cables (USB or otherwise) have no burn-in period. Either that, or if they do, the change must be so small that I never noticed it. AudioQuest Diamond < Mad Scientist Heretical < Mad Scientist Black Magic < Curious. Interesting cable for sure. But while I don’t usually shy away from tweaking, this cable, like the XXHighEnd application, is a bit too tweaky for me. PS I wouldn’t say that that this the definitive order as it also depends on the application. 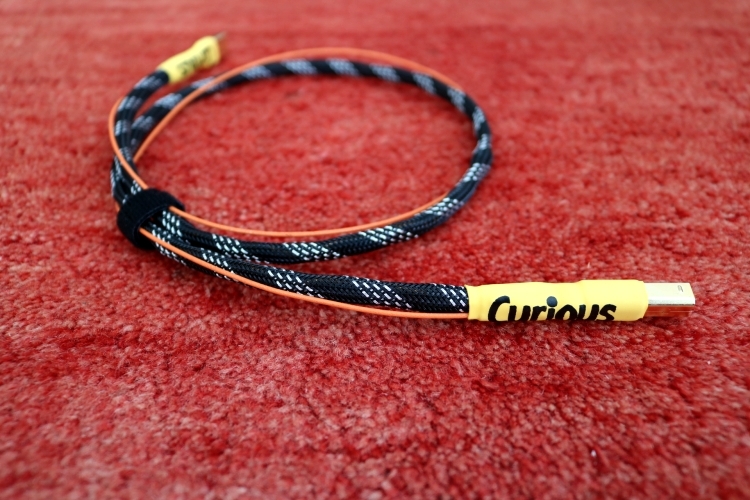 That said the Curious is currently the most accurate as well as most engaging USB cable for me. You guys need to try Sablon Elite USB and their new LAN cable. Really! If you want to try please get in touch. Hi Christiaan, For a long time I have been using the Audioquest Diamond but was never completly satified with the sound. 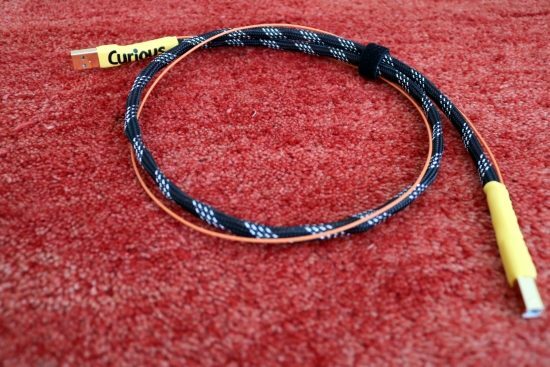 In September I have bought the Curious cable , the cable improved the sound but I was still enjoying the music played from the cd player more then played from the streamer. I have recently upgrade the Sotm sms200 streamer with the sms 200 ultra neo. During the burn in period I only have connecteonnected the cables to the new device. It sounded flat and it emphasized the mid-high frequency to much. It became beter but I stille was not satisfied. When I connected the Audioquest cable to the new streamer the sound was not as open as the Curious but it was more relaxed and natural sounding. So i prefer the Audioquest Diamond. Perhaps you can review in the future the following usb cables : Clarity Cable Natura, Purist Audio 30th Anniversary USB, Totaldac USB GIGAFILTER, Sotm dbcl uf usb cable. Hi Ray, The Curious Cable is quite open and lively which can work really well in some systems but no single cable is ideal for all systems. It’s always a matter of system synergy and personal taste. 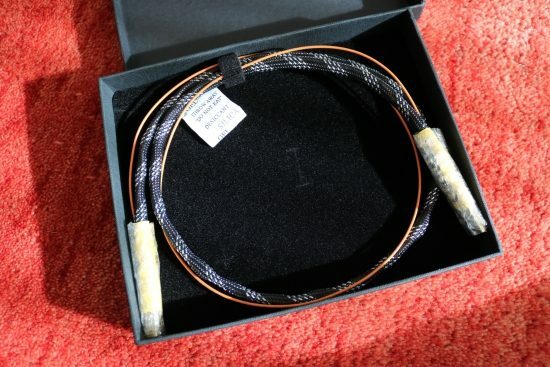 Reading about your experience I think you may really like the Mad Scientist Black Magic USB cable. 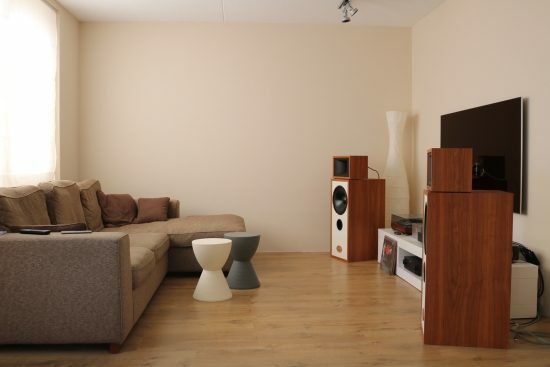 It has a refined and smooth sound and is nicely relaxed. Or perhaps Elijah Audio, that’s even smoother, yet also less powerful. I am a bit busy currently but I may look into the Purist Audio 30th Anniversary USB and Totaldac USB GIGAFILTER after finalizing the current reviews that I am working on. Hi Christiaan, at the time that I compared the Curious cable with the Diamond usb cable my Hegel DAC was connected with the Audioquest NRG-1000 powercord. After I swapped my Audioquest NRG-1000 with the cheaper NRG-5 power cable the sound became a little bit dull. recorded music it can be too much. Hi Ray, aside from the idea that USB cables can indeed make a difference, I can certainly imagine the things that you are describing. After all, in audio, balance is key en this means that all the components and cables need to work together to create the sound that you like. The Curious USB is an infectiously lively sounding cable but I can imagine that it may be too much if the system itself is also a little forward in the upper midrange. I have been data network designer for some years and even I didn’t realise that some USB cables could ‘read’ the data that they are carrying and make the sound, for instance, ‘warmer’. I guess that is why they are so rediculously expensive. That is the million dollar question. There are many theories but precious little in the way of lab tests. I’ve commented on this in various places on this site and don’t want to get into this too deeply again here but in short, the main suspicion is not that the signal itself changes – it really shouldn’t, but that parasitic signals that travel along are affecting the audio component’s circuitry on the receiving end. Mark Jenkins of Antipodes has written a bit of text on this subject which I published at the end of the CX+EX review. PS There is no such thing as a “Best” cable or best anything. 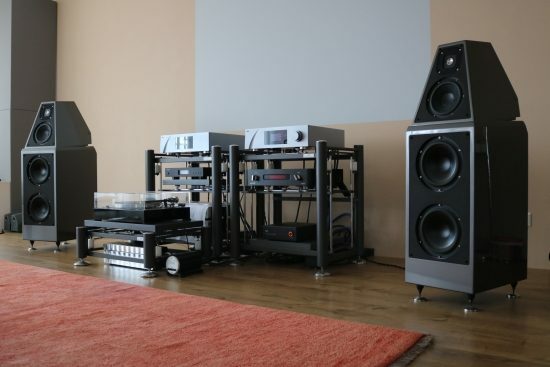 It remains a relative matter, dependent on system synergy and personal taste and a more expensive cable certainly does not guarantee better results in all systems. Thanks for the reply, but it does not address my question. I know more than most about how cables work, or I thought I did. To do this, the digital data that the cable is carrying must be changed. I can find plenty of information on how to do this using software and ‘better’ DACs, amps and speakers, but I can’t find any information on how these special USB cables achieve this. 2) have some sort of circuitry in the cable to derive the original audio, adjust the dynamics, etc and re-convert it to a new digital stream. Mike, nice to know that you are a data-network designer. i have a Master in Computer Science. It is not that simple as you think. Have you been working with real-time systems? 2) USB standard was never meant for transporting real-time audio-data, which is time-dependant and differs in this dimension from data transmitted in the computer from e.g. HD to processor, which if error happens, will be transmitted once again. Real-time algorithms are much more time sensitive than simple USB-standard. So what is done here is a real-time transmission and conversion over non real-time protocol. This adds more overhead in encoding/decoding then simple I/O operations within computer. 3) So digital end does a lot of encodings, first from phy-layer into USB-protocol, and then from USB into PCM, then comes the DAC which does PCM into a single ended signal or 2 balanced halves. 4) The quality of the cable can influences the speed of the signal whereby this depends on the frequency and material and isolater..
5) The signal transmitted from the computer is not pure. There is noise on power lines that often run next to data lines and influence them in turn. It is not critical enough so that any USB 5m cable will manage to copy data, but not any USB cable will be able to transmit data in equal manner needed for a real-time system. Depending on this, all upstream layers/encoders will have to do much more work than when the signal comes without jitter (practically impossible) into the DAC. And this introduces again new jitter, if the device does not have appropriate means to fight it. THis is the reason also why all DACs do not sound the same if they convert all the same 0S and 1s. And the arrival at DAC happens after phy-usb-pcm conversions at the transmitting end. This is just the very basics and there is much more written in detail how it works and what do you have to take into account if you want to design low-jitter cable or device. It takes at least a year or two. Thanks for your lengthy reply but I already know exactly how USB transmission works, . What I really need to know is how these special ‘audiophile cables’ change “parameters such as dynamics, tightness, focus, and articulation ” of the digitally encoded audio without decoding it first. I have been involved in data and audio transmission for more than 30 years and I really can’t see how this is possible. Hi Mike, just how it is possible I do not know, but that there are differences is pretty easy to hear. The CAD USB cable contains a filter but otherwise, generally, in USB cables, there’s no fancy stuff going on, only conductor and dielectricum material- and construction decisions that are made and together these make for the perceived differences in sound. But I’m afraid there’s nothing I can say that will provide a satisfactory answer for you. All I can say is to just try it out for yourself. For the clearest distinction, compare the Curious USB with the Mad Scientist BlackMagic USB cable. Who knows, the manufacturers might be willing to supply loaner cables for you to experiment with. Mike, the data stored on your hard-drive does not have jitter nor clock associated with them. Again, you are failing in the first place to associate the time-dependent dimension with the data and neglecting real-time problems arising when dealing with audio-data over non-real time protocol like USB. So al your thinking process afterwards is simply wrong because you over-simplify at the very beginning. Hi Marek, it’s great to learn that you have a Master in Computer Science. Clearly, you are in a better position to comment on this matter than I am. For me, it’s the sound that counts. When I hear a certain difference then I double check and then just accept it. I don’t reject it because I cannot explain the reason for it. Some people, however, are more technically inclined and they need explanations such as the ones you supplied, which I hope should be sufficient to lay some of the worries to rest. So, thanks for that! My original post was a genuine query as to if these cables have the processing power to be able to decode, change and re-encoded the audio they are carrying. This, of course, being the only possible way that “parameters such as dynamics, tightness, focus, and articulation ” could be changed. In my own experiment where I made a USB cable with bare wires and wound it round an active power lead a few times, it sounded exactly the same as an expensive “audiophile” cable that I had borrowed. But it is nice to have your confirmation that differences are only “perceived” and not measured. Thank you, I can now happily save my money in the sure knowledge that there is no USB cable in existence that can improve the audio being transmitted (or for that matter video or print or anything else transferred by USB), I will only be imagining any difference. Please note that no cable can make a signal better, but they can change it and depending on the system and personal preferences, one cable will therefore make a better fit than another. I am not confusing anything and am certainly no rookie, I am just using my ears, without prejudice. If you ever repeat your comparisons, listen for midbass speed and transient sharpness. There are easy to hear differences in those fields. Maybe there is not so much difference between a standard USB cable and a test cable made of bare wires, I’ve not tried this so cannot say, but depending on sleeve material and dielectric thickness and -material, USB cables can definitely sound different. Ok, well, thanks for keeping an open mind and trying this. Did those extra listeners know what cable was used? All I can say is that I also have carried out blind tests and I do hear the difference. And again: it’s not about cost as very expensive cables can indeed sound very similar to ordinary cables. You need to find two cables with different characters, as mentioned before. 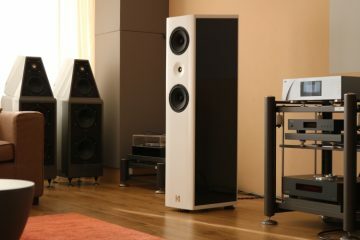 I once was at a demonstration in Munich back in 2001, they want to know which amps was the preferred amp for the JMlab Utopia speaker . 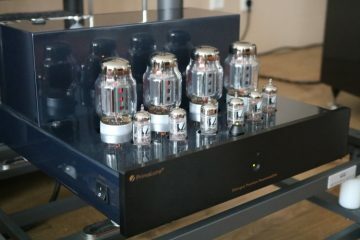 I preferred the Passlab amp , some preferred the Kronzilla tube amp and some didn’t hear any differences in sound. The outcome is that the differences are so negligible that you might conclude that everything sounds the same. when using loudspeakers the soundstage difference is perhaps better noticeable. It is easy to make a certain conclusion but it doesn’t mean that your or mine observation is the right one. You are right but when somebody hear differences between two cables which connects digital sources it’s very easy to say that they imagining things. I would expect not to hear a different sound between two different CD transport but I did. When comparing my Wireworld S/PDiff cable with a Audioquest cable I hear strangely enough differences even with USB I can hear differences ?? I can’t explain this but have stopped searching for an answer and have accept this. I also stopped wondering when somebody tells me that they favor a “ Wav” music file instead of a “flac” file.